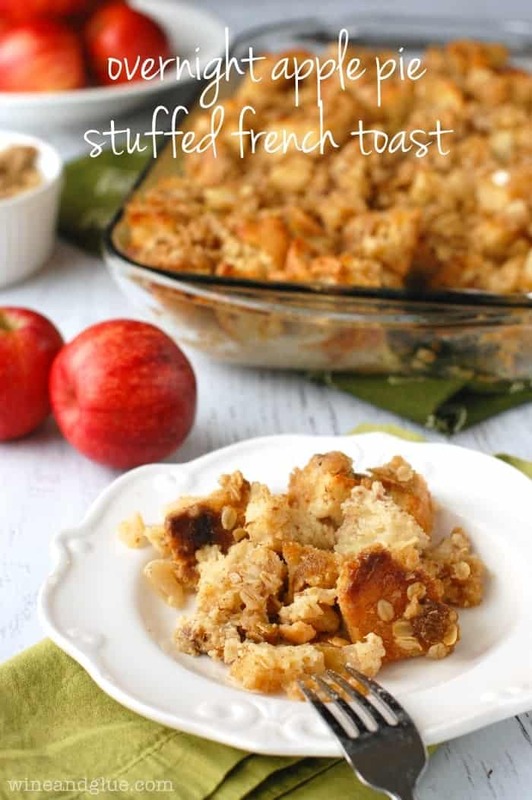 Overnight Apple Pie Stuffed French Toast | This stuffed french toast is insanely good and can be made the night before! My new blog design is LIVE!! Who else needs a glass of wine?? So! Some of the new awesome features that you may or may not have noticed in order of how much I love them. First, my homepage is more compact! (YAY!!!) You can very quickly see my last 15 posts, with just a simple scroll. Second, the pages!! I pink puffy heart LOVE my new drop down menus that break down the different categories, like you want to easily see all my fudge recipes, go to the Treats header and then down the Snacks, Candy, & Fudge. But! If you want to see all my Treats, you can just click Treats at the top and do that too! Third, my social media icons at the top FINALLY line up right, so when you click the f to go to my FB page, it actually takes you there, and not to Pinterest. Fourth, my new header! I absolutely adored my old one with the drawing that my talented cousin Melissa made, but I was ready for a change, and besides, it only showed Gavin and Quinny, and we have another little monster coming soon! I could go on and on and on with all the things I love about it. And hopefully you love it too! If you do notice any problems, please don’t hesitate to contact me. Most important to me is that it is user friendly. 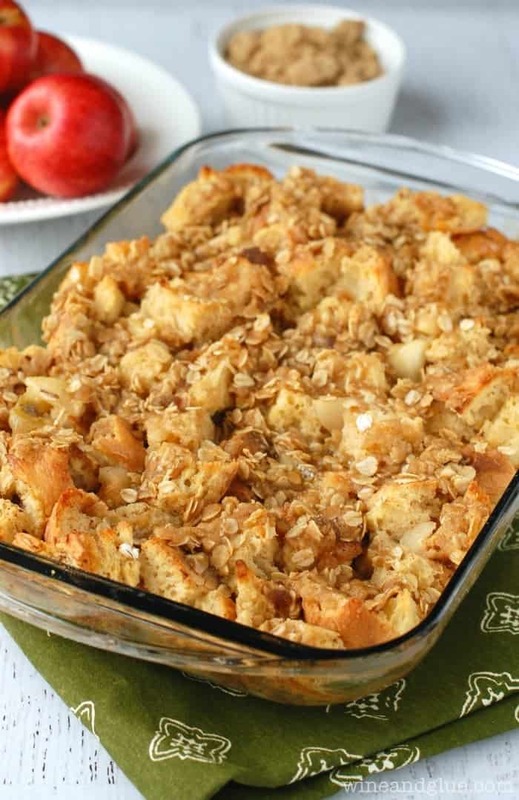 For example . . . . what I use for my recipes so they are printable got all screwy, so when people were trying to look at my Chicken Pot Pie Crescent Braid, they got the recipe for my Root Beer Chicken Sammies. Soooo frustrating!! Especially because I tried to fix it and they all went back. And that’s when I nearly lost my poor little pregnant brain. But let’s not dwell on that. 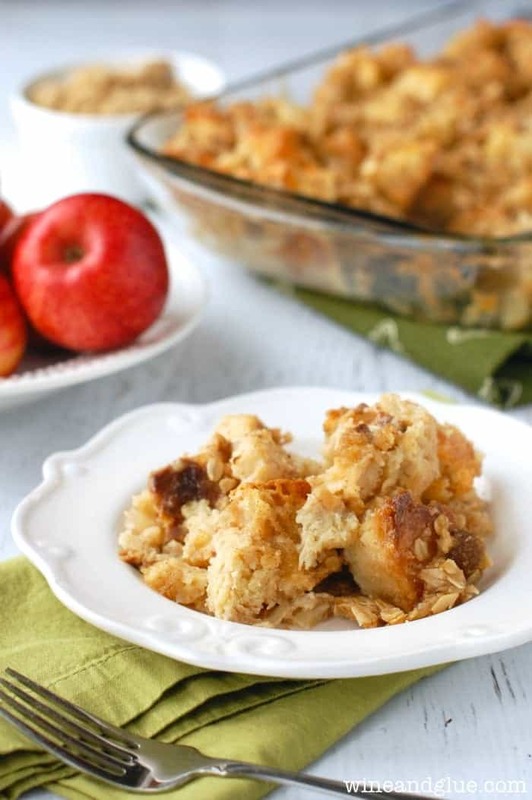 Let’s dwell on this Overnight Apple Pie Stuffed French Toast! Don’t you love brunch recipes that can be made the night before?? 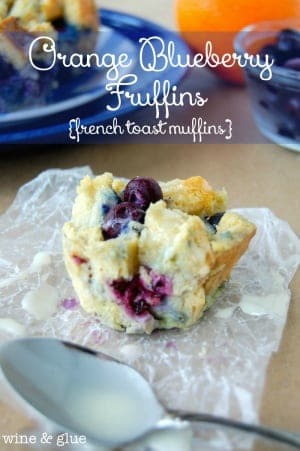 They are perfect for holiday mornings or even a regular old weekend when you want something extra delicious for breakfast, but don’t want to break out all your cooking gear before you have a good two cups of coffee in you. I made this for Nathan’s family Christmas morning, and it was a big hit! It’s really easy to make, and sooooo delicious. I like to start it off a few days before by making this bread recipe, cutting it up and letting it dry out. I’m in love with your new site and this french toast! Genius! Mmm. 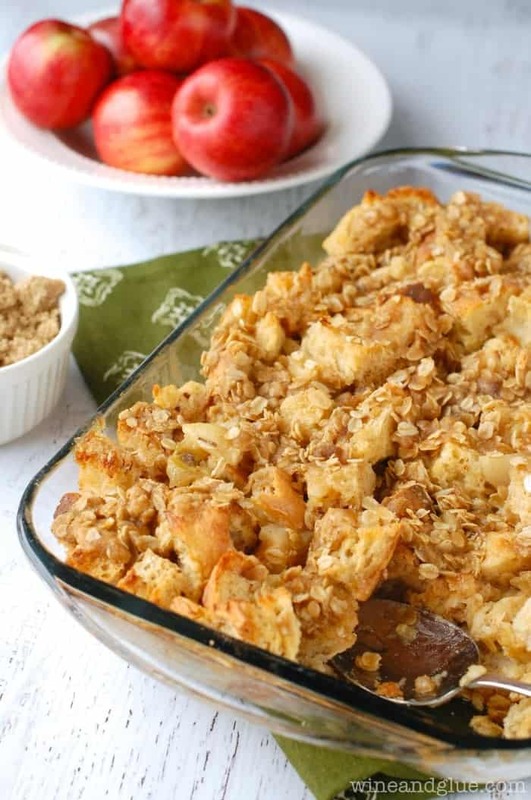 Looks like a delightful make ahead breakfast! Pinning! I loooove a good make ahead breakfast Melanie! What a delicious and comforting weekend breakfast, Lisa! Lisa, this looks fantastic! Thank you so much for sharing at Best of the Weekend – pinned and will be sharing this week. Hope you have a happy Sunday and a wonderful week! Your new look is fabulous. So clean and fresh! It takes so much time and effort into making our blogs just right – the job is kind of endless, isn’t it? lol. Your work really paid off because it’s lovely. LOVE the new look. 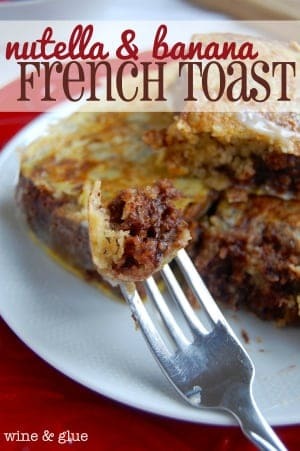 LOVE this French Toast! Overnight bakes are totally the way to go! I LOVE your new site!!! It looks absolutely amazing, Lisa! And so does this French Toast! I tried making a version of overnight french toast for Christmas morning and it was a fail. I’ll have to give it a try again with your recipe! It sounds so good! I do! I do! 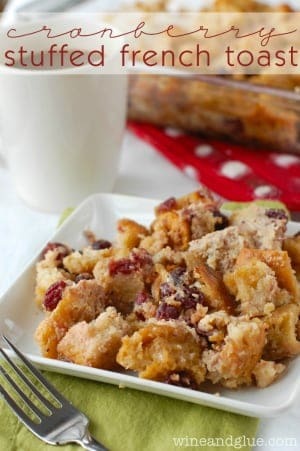 (need a glass of wine…) and I could also go for a big plate of this french toast!! It looks amazing! Awww, thanks so much Krista! New to your blog. Love your bio! Do you think this would work with gluten free bread? Thanks Samantha! Glad to have you! I don’t have a ton of experience with gluten free bread, but the biggest thing is that the bread is dried out so that it can really soak up the eggy mixture. Hi what type of bread is best to use? I used a country loaf from the grocery store, but you could use a french bread.